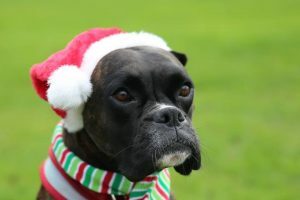 Often owners are searching for ways to assist dogs over the firework season. 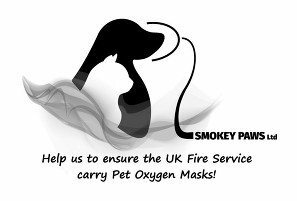 This is because for many of us, and our pets, the firework season is very distressing. No-one likes to see their beloved pets distressed. Some will cower in a corner whilst shaking, whereas others will frantically try and get to the fireworks, sometimes injuring themselves in the process. For many dogs it a very unhappy time, and it seems to go on for weeks on end. 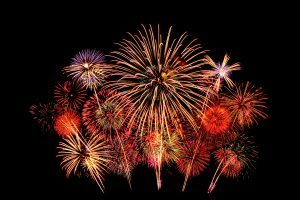 The noises caused by the fireworks can cause fear, anxiety and sometimes a phobia. Research shows that the large majority of noise phobias involve either loud quick sounds (e.g. fireworks, gunshots) or thunder. It is also reported that fear of fireworks is the most commonly reported noise phobia in dogs, with the second being fear of thunder. Fear is the apprehension of a stimulus, event or object. It is essential for animals to feel fear in order to survive. Fear triggers the “fight or flight” response, characterised by increased heart rate, breathing, and muscle tension, which allows the individual to escape from danger of defend itself against a predator. This coping mechanism is called upon in the presence or absence of a stimulus. The brain’s job is to regulate the strength and duration of this coping mechanism, but this can sometimes fail. Anxiety is a reaction of apprehension or uneasiness to an anticipated danger or threat. Signs are physiologic (increased heart rate, autonomic arousal) or behavioural (restlessness, freezing, lip licking). Phobia: A phobia is an unreasonable fear reaction prompting extreme and irrational avoidance responses. The physiological responses to a phobic stimulus include trembling, tachycardia (fast heart rate), tachypnea (rapid breathing) and gastrointestinal disturbances (loss of bowel control). 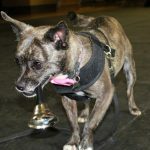 Many dogs are not adequately habituated to these particular loud noises over time, so instead become sensitised. This is the opposite of habituation where the presence of the stimuli creates a bigger response than its earlier presence. Frequent exposure to these highly aversive events cause the brain to quickly activate alarm-threat pathways encouraging fear and startle responses. 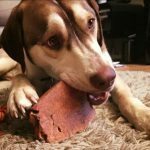 Ensure your dog has had plenty of physical and mental stimulation throughout the day. A highly-strung dog with lots of pent-up energy is going to be far more difficult to keep calm and relaxed. 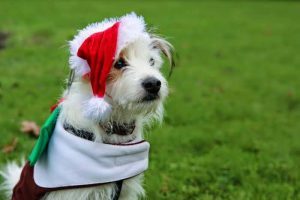 Do not walk your dog after dark and make sure he has been out to the toilet before darkness falls so he has no reason to need to go outside. Provide your dog with a “den” area to help him feel more secure. Hiding is a natural coping strategy designed to limit the exposure to the stimulus and dogs with anxiety issues tend to prefer to move to the safety of a den area when they feel emotionally challenged. This is because they frequently try to get to places where the sound level is lower and multiple closed sides assist with this. This can be a covered crate, an area such as behind a sofa, or under the bed. Let him settle wherever he feels the most comfortable. You may be the safe place your dog requires, so if cuddles under a blanket on the sofa are what is required, then so be it. Close curtains and keep lights on to minimise flashes and sudden brightness. Have a TV or radio on at a reasonably high, but comfortable volume to help drown out the sounds of fireworks. If you know your dog will be scared, don’t leave him home alone. Do feel free to comfort and support your dog when you feel he needs you. 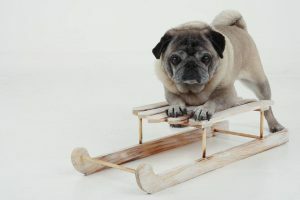 Try and distract him whenever he is showing fear by giving him treats, playing games or doing some training exercises. Generally, distracting him away from the fear is the best approach and all these things will improve his emotional state. Ensure you avoid any punishment as this will make the dog far more distressed. The best approach is to be cheery and jolly, to help lighten their mood. There are various products on the market to assist with anxiety reduction. 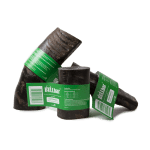 These include the Adaptil products, Zylkene, Nutricalm, etc. 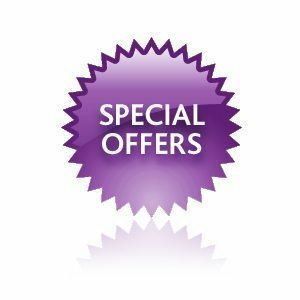 Speak to your veterinary surgeon about using any of these products before purchasing them online. 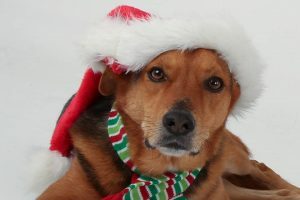 In some cases, pharmacological treatment is required to assist your dog during this period. This must be used in conjunction with a behaviour modification programme from an appropriately qualified specialist. 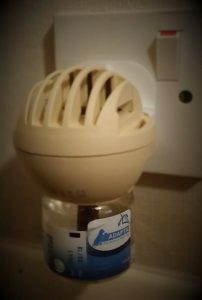 Systematic desensitisation and counter-conditioning are the most effective methods when treating a noise sensitivity. Systematic desensitisation is when an animal’s response to a stimulus is gradually reduced, to the point that it is in a neutral emotional state. This is accomplished by progressively exposing the animal to increasingly intense forms of the stimulus while the animal is stress-free. Counter-conditioning involves exposure to gradually increasing feared stimuli whilst concurrently encouraging emotions that are incompatible with fear. The Dogs Trust website has free sound files you can download for this process. Although this method takes some time before results are seen, it is often extremely successful. This method should not be undertaken unless advice is taken from a qualified specialist. 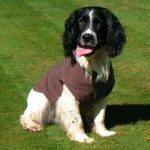 Other products have a more immediate effect and can be used once a dog shows signs of distress, or to avoid them getting into a negative emotional state. 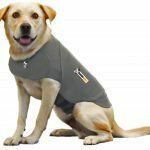 The Thundershirt, KarmaWrap and Equafleece T-Shirt are worn by the dog and provide a “portable-hug” based on the practice of Tellington TTouch. These should be worn at various times during the day, not just when the stimuli is present, to avoid it becoming a predictive cue. 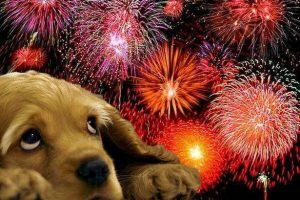 Keeping your dog distracted while fireworks are going off is an excellent way of helping to keep them calm. 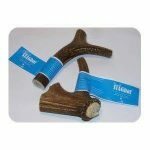 Using long-lasting chews such as Yakers, Pure Dog Stag Bars, FarmFood Antler Bars, Anco Roots and Bullbars will not only give them something to focus on beside the bangs and flashes, but chewing releases endorphins which will help to feel more relaxed. 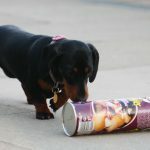 A stuffed Kong, Tux, Traxx, K9 Connectables or Quest is another ideal way to keep your dog distracted during fireworks. These are easily made in advance and frozen, ready to use whenever they are needed. It’s easy to make up these stuffed toys in batches so there’s no need for last-minute preparation. Once you’ve purchased appropriate toys the recipes themselves can be very inexpensive and you can use everyday food items that you’ll find in most kitchens! We have a very comprehensive list of toy-stuffing recipes. 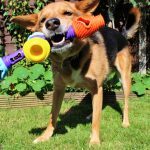 You can also save part or all of your dog’s daily food allowance to feed out of these toys during the evening. 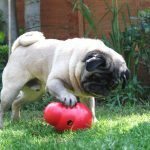 Interactive dog toys are also invaluable and can play a great part in focussing your dog’s attention. These include the Snuffle Treat Mat and many of the toys found in our Mental Stimulation section. 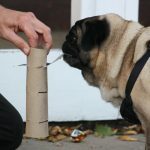 Home-made food toys: This could be a box full of shredded paper with treats inside, a plastic bottle filled with treats and squashed, or a squashed cardboard tube with a few yummy morsels inside and allow him to shred the lot! You may also consider hiding treats in a towel. Hiding food around the house and garden and encourage the dog to “find”. Make this very easy to start with, but in time leave treats inside items and at different levels. With some dogs, the only way to occupy them when the bigger bangs are occurring is to constantly throw food rewards around the home for them to find … this is perfectly fine. Tiny morsels of really high-value treats (e.g. liver, cheese, ham) may be required if their fear response is greater. 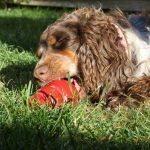 For some dogs, food is not much of a draw so games with their favourite toy may be a better approach. 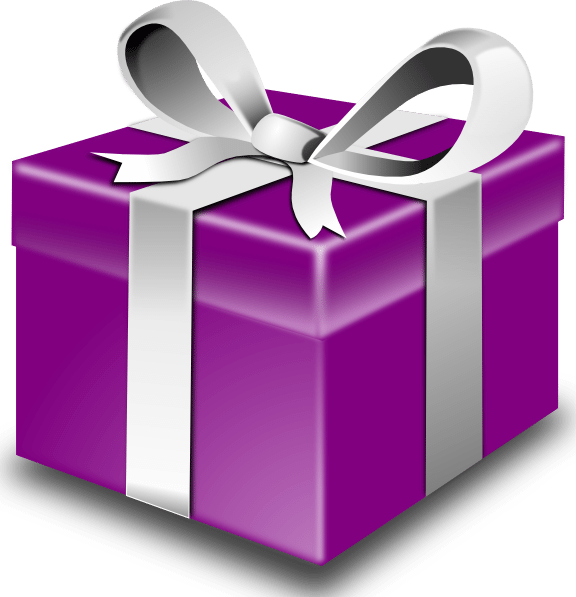 There are various activity toys on the market (e.g. 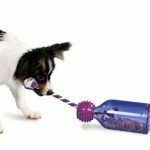 Nina Ottosson, Trixie Activity Toys) that can be played with your dog. Some dogs just enjoy the interaction with their owners and this is enough to distract them from the noises. This can be simply performing “sit”, “down”, “come” “heel”, “leave”, etc. 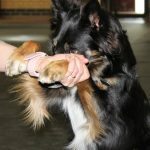 When a dog is successful at an exercise, they feel empowered, which in turn increases their confidence. Ensure they are rewarded handsomely for each correct response. Free shaping on items such as cardboard boxes. Click and reward the dog for interacting with the box in any way (except destroying it). This could be using paws, mouth, moving around the box, getting in the box, turning it over, etc. In order to obtain unique behaviours, you must withhold your click once the dog has performed one exercise twice. If you continue to click the same behaviours, the dog will never offer anything different. Remember: touching the box with a paw on one side is a different behaviour to touching with the paw on another side. Hand touches: touching your hand with their nose. Hold hand at different heights and start to move your hand so they have to follow it for a period before receiving their click. Other nose targeting exercises: Touching the end of a target stick, pole, or wooden spoon. Encourage the dog to also touch a small post-it note, which can then be stuck to items away from you (e.g. to touch it on a wall at the other side of the room). Targeting with a paw(s): Encourage the dog to touch a marker or upturned bowl with their paw. This item can then be moved further away to add distance. 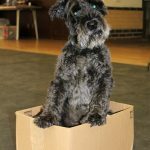 Encourage the dog to place their front paws on a box, small step or wobble cushion. They can then be sent onto this item at a distance. Once front paws achieved, back paws can be worked on. Teach your dog to go “away” to bed, towel or marker on the floor. To “go around” an item and then return to the handler. This can be a chair, waste paper bin, cone, etc. An up-to-date microchip and collar with ID tag are essential in case the worst should happen and you are separated from your dog. Some dogs have been known to jump out of bedroom windows and scale 6-foot fences when distressed, so take great care with them. When your dog is in a heightened state of anxiety they can behave out-of-character. They may need more space in the home and on walks for a few days after a stressful event. 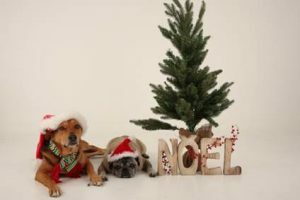 If your dog really struggles over this period you may need to consider seeking some professional advice. 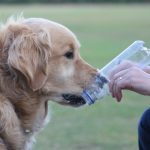 It is essential that this person is a qualified clinical animal behaviourist as it’s essential that reward-based, up-to-date and scientific advice is given.